A lawyer representing sacked Financial Intelligence Analysis Unit investigator Jonathan Ferris has slammed an attempt by the Attorney General to “muzzle his client’s voice” by requesting that his affidavit be expunged from official records. Attorney General Peter Grech this week filed an application demanding that Mr Ferris's affidavit, which was presented as evidence during his unfair dismissal hearing last September, be removed on the grounds of national security. The Attorney General, who is also FIAU chairman, is further demanding that future sittings before the industrial tribunal be held behind closed doors, effectively barring access to the media. Mr Ferris’s lawyer, Jason Azzopardi, said the Attorney General’s request was an attempt to muzzle his client’s voice and prevent the public from knowing what was going on during the case. Dr Grech is arguing that Mr Ferris’s affidavit included various references to the anti-money-laundering agency’s internal operations which were protected by secrecy. In the affidavit, Mr Ferris charts how he lost faith in the organisation. The former FIAU official said in the affidavit that he was prevented from investigating claims published by murdered journalist Daphne Caruana Galizia, who had said the Panama company Egrant was owned by the Prime Minister’s wife. Mr Ferris said that the FIAU prevented him from investigating the case because of a “conflict of interest”, as he had arrested the Russian whistleblower behind the claims. In his application, the Attorney General argued that Mr Ferris was still bound by the FIAU’s and police force’s secrecy requirements, which also applied to former employees. He accused Mr Ferris of including “irrelevant” details in the affidavit, including about meetings between police officers and the police commissioner. The Attorney General asked the industrial tribunal not to allow secrecy laws to be broken during the proceedings. Dr Grech said the tribunal would have had more control over the proceedings if verbal testimonies were given. He accused Mr Ferris of choosing instead to “illegally and abusively” divulge secret FIAU information through an affidavit. The Attorney General said that despite Mr Ferris’s accusations being contested by the FIAU, he still “felt the need” to seek publicity and give interviews. He displayed as evidence a Facebook post by Mr Ferris on August 1, which featured a picture of a gold-plated toilet, with money as toilet paper. The post, which went up on the day Mr Ferris instituted proceedings against the FIAU, also features the words “Let the show begin!! !”, the Attorney General pointed out. Dr Grech said it was “clear” Mr Ferris was seeking to damage the FIAU before a decision by the tribunal had even been handed down. In view of all this, the Attorney General asked the industrial tribunal to order all the parties in the case to be banned from talking to third parties about the proceedings. Mr Ferris, a former police inspector, was informed his employment with the government’s anti-money-laundering agency was being terminated during his probation period on June 16. 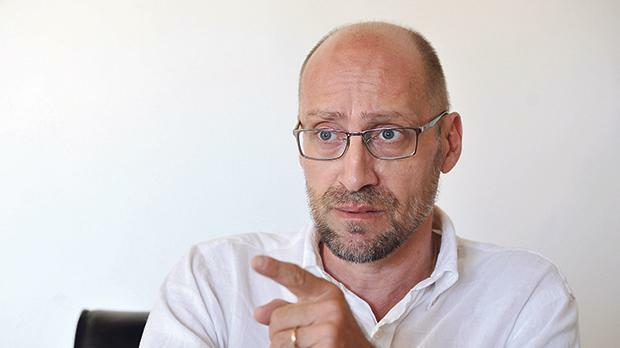 The abrupt termination in June came days after Finance Minister Edward Scicluna questioned whether a number of investigative reports into the Prime Minister’s chief of staff, Keith Schembri, and Minister Konrad Mizzi had been “written to be leaked”.